With an ever changing IT environment - new users, new devices, new applications - ensuring the right users have the right access to the right systems is no small task. Identity Access Management and Single Sign-On security solutions allow you to put policies in place and manage users and groups ensuring users are who they say they are, and they have the right authority to access applications. IBM is a leader in Gartner's 2018 Magic Quadrant for Identity Governance and Administration. IBM Security Identity and Access Manager provide enterprise level identity and access management across web, cloud, mobile and enterprise environments. It centralizes and automates management of user profiles (including privileged users), authentication, access privileges and audit policy, and provides monitoring and activity reporting. 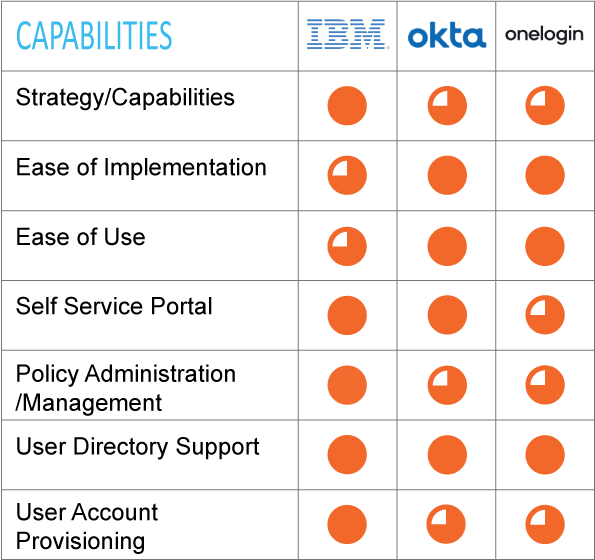 Okta provides single sign-on services with a strong cloud-based on-demand identity and access management service. Okta uses a multi-tenant IDaaS model together with lightweight components for on-premise repository and target system connectors. It provides comprehensive user management integrated with Active Directory (AD), including user provisioning and de-provisioning. 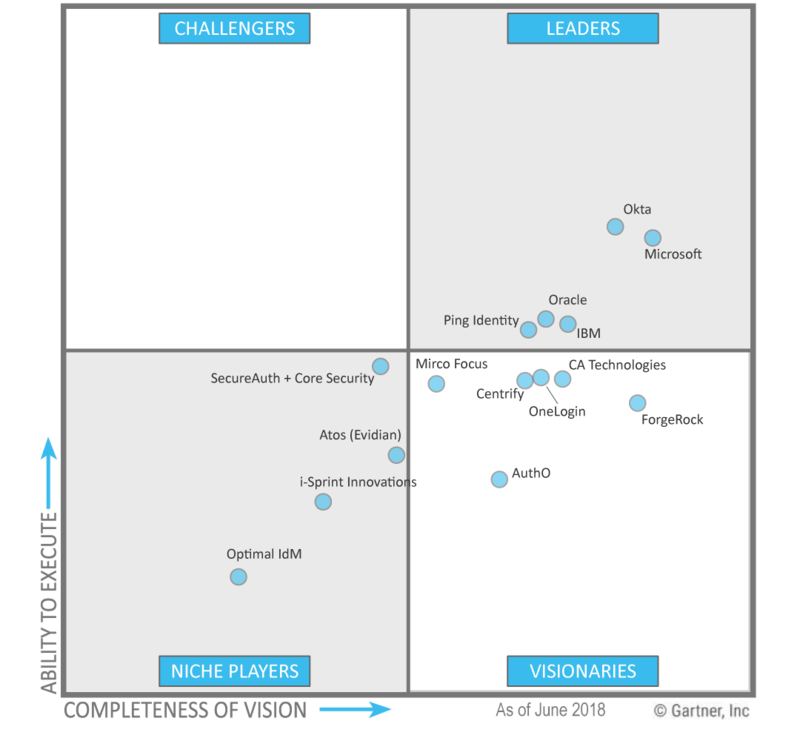 OneLogin offers access management in an IDaaS model. It also offers lightweight integration components for on-premises connections. It provides secure single sign-on, multi-factor authentication, directory integration with AD, LDAP and other external directories, user provisioning, endpoint management and more allowing secure access to cloud and company apps on any device.